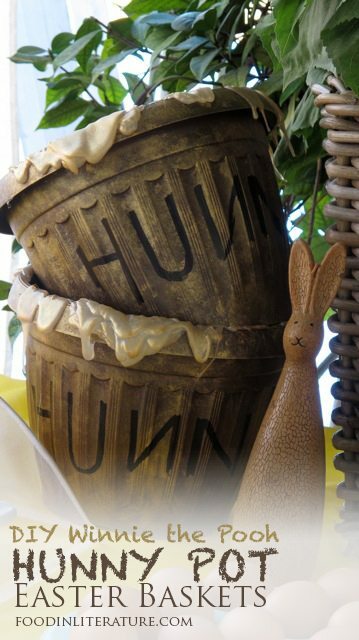 This time last year I was making ‘hunny’ pots as easter baskets. And since time got away from me, I never got around to posting my how to, until now. 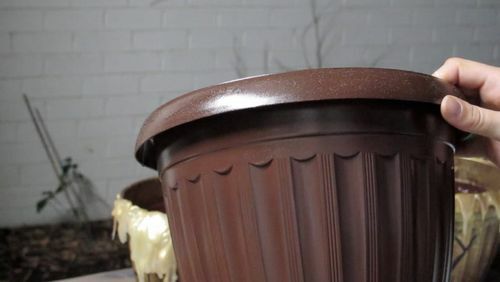 I purchased several sized $3 plastic garden pots from Red Dot for this project. 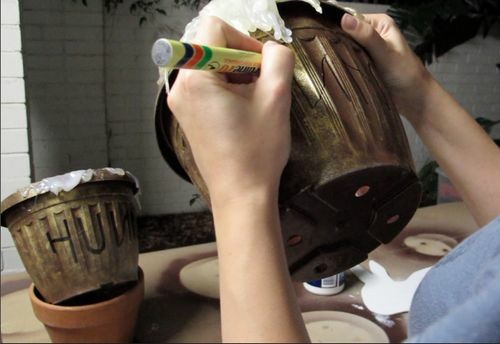 Regardless of their colour, begin by spraying all of them in a ‘mission brown’ for the base. 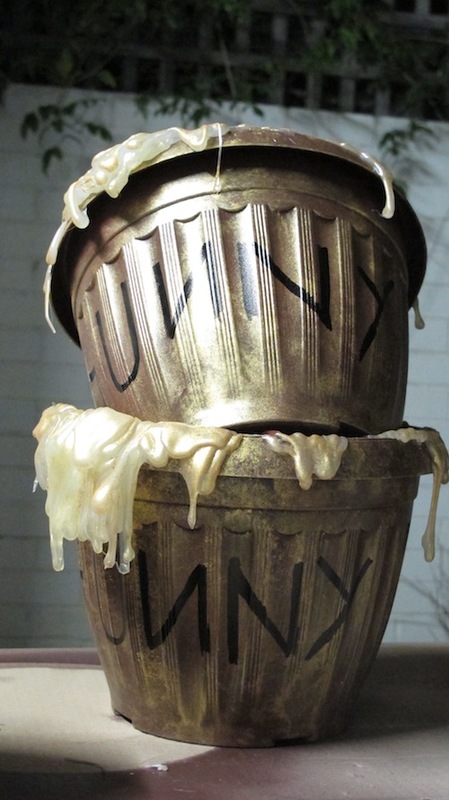 Next we’ll be adding dimension to the hunny pot by using a cheap gold paint (dollar store craft section), a plastic plate and a sponge (found dollar store car cleaning products section). 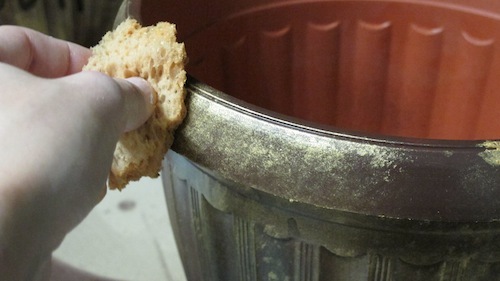 Add a little bit of gold paint to the plastic plate and tear off a decent sized piece of sponge. 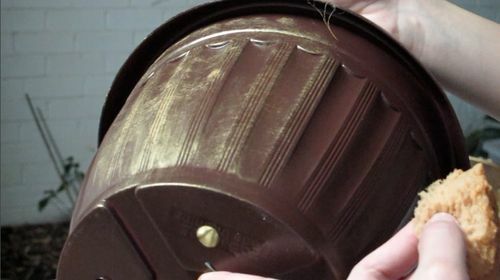 It’s best to actually tear the sponge, not cut it, as the edges need to be rough, not flat. 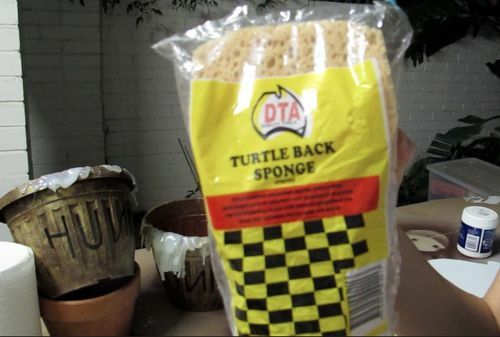 And keep the sponge dry at all times, not wet. Dab the sponge into the paint. You’ll be working in sections. 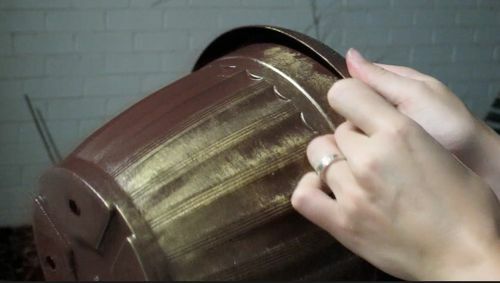 Begin by covering a small section of the pot in gold paint, in an up and down motion. 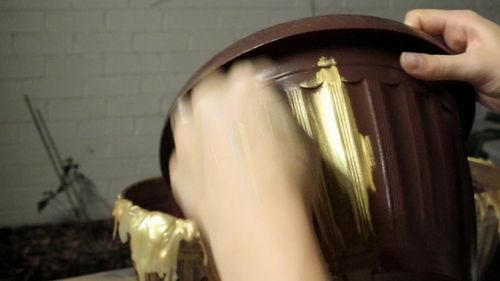 Next, go over the gold paintied section when still wet with either another piece of sponge or just another corner of the sponge. You’re going to use a dabbing motion to create the texture. 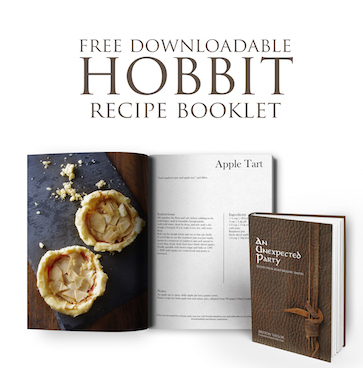 When you’ve finished one section, move onto the next. Make sure you get under the lip and into cracks. 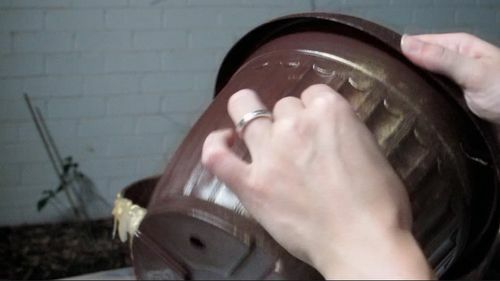 As you can see, you don’t want the gold paint too heavy, as the brown showing through adds a nice realistic dimension to it. 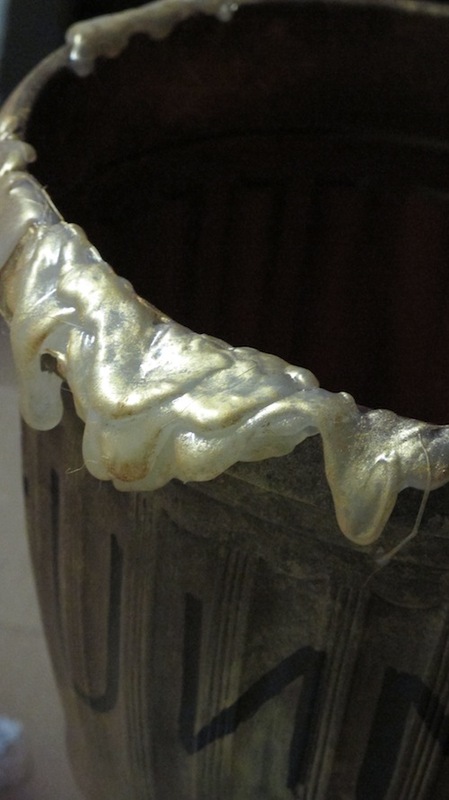 When finished, let the pot sit and dry. The next step is to paint it. 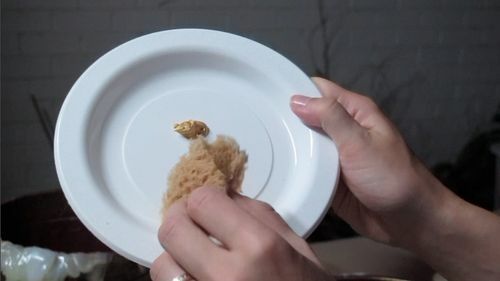 Again, get your sponge (or two) and a small drop of gold paint on a plate. Begin dabbing the paint on with the sponge. If it gets too thick, take a dry section of sponge and wipe it, and then just keep on dabbing until you get the effect you want. When that’s all dry take a permanent marker and write out the word ‘Hunny’. I started by writing out the words, and then went back and thickened each up. Don’t forget to do your ‘N’ backwards!